Here's something for the divorcée who has done so well in the divorce settlement that she has money to burn: a 1970s Spritzer and Furman "Divorce Ring". 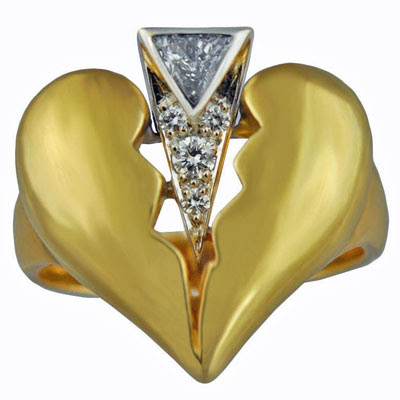 Featuring a tasteful 18-carat gold heart being split by a diamond spike, the ring can be yours for a mere $3,200. Pure class.